This map shows the position of locations containing 'FortAD1066, anderida' centered on Battle in Sussex. This map shows the relative population size and damage suffered by villages near Battle in Sussex after the Norman Conquest in 1066AD. The data is derived from the Open Domesday Book(links provided at the bottom of the page). The black lines show known Roman Roads, the Red ones ancient trackways(Ivan D Margary), with the purple ones showing implied Roman roads provided by place names. Senlac Hill was there only one? and what does it mean? On this page I will try to put forward various comments on the origination of Senlac, and the possibility of where it originates from. 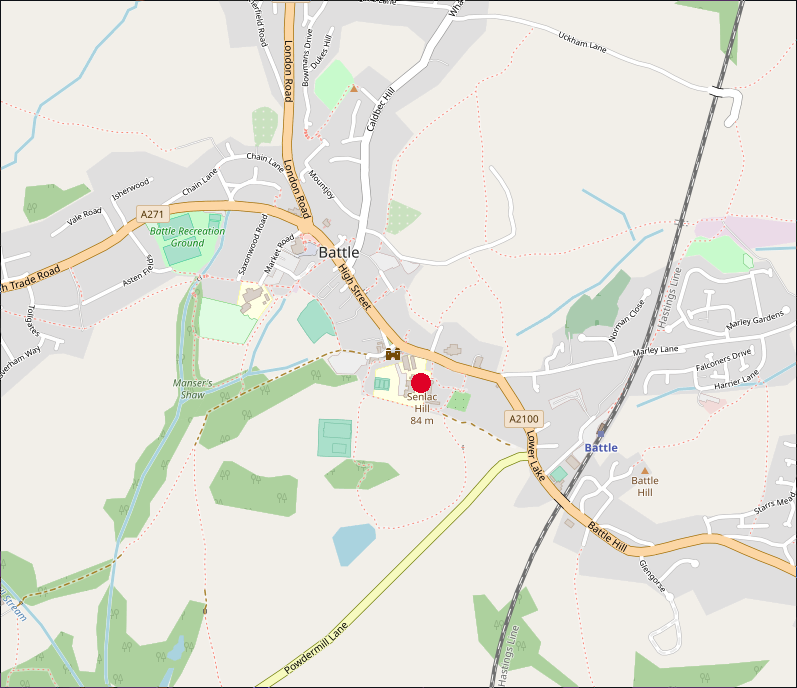 Senlac Hill is inside Battle Abbey in the small town of Battle in East Sussex and is shown by the red dot on the map below. Firstly what evidence is there that Senlac Hill was relevent to the Battle of Hastings? 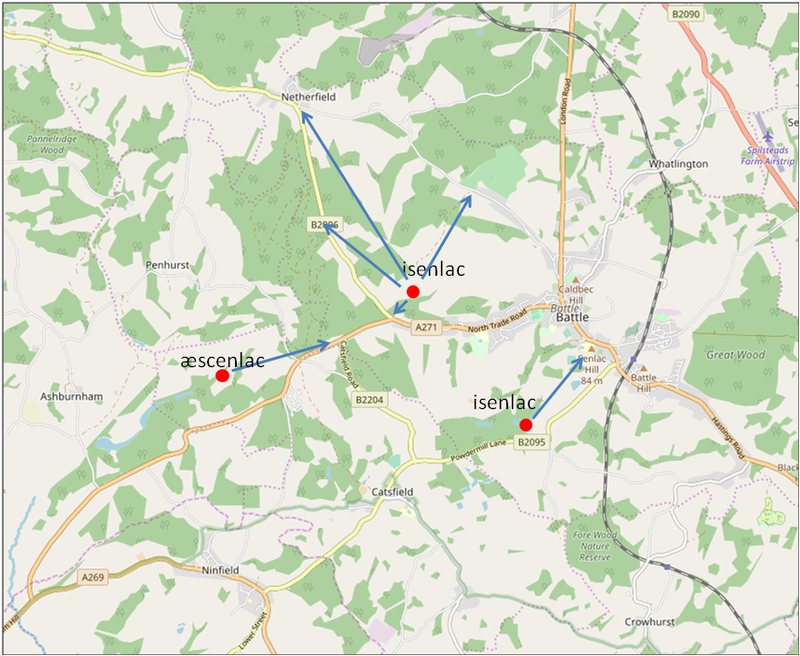 The Battle Abbey Chronicles make no mention of Senlac - that seems odd as its in the current Abbey Grounds, and if important would have had a mention in the text, the Chronicles refer to Hegeland as the hill. The name Senlac was introduced into English history by the Victorian historian E.A. Freeman who suggested that Senlac meant Sand Lake in Old English with the Norman conquerors calling it (in French) Sanguelac('Blood lake'). OK so what does Senlac mean, there are a lot of possibilities some being decidedly unlikely. lac appears to derive from lacu a pond or lake. sen There are a number of possibilities as to the derivation of sen which is not a saxon word as it stands, so most likely has been shortened over time(a few hundred years from its early Saxon name). So this would translate to sinners lake, but as the area was unoccupied before 1066 I have discounted this word. 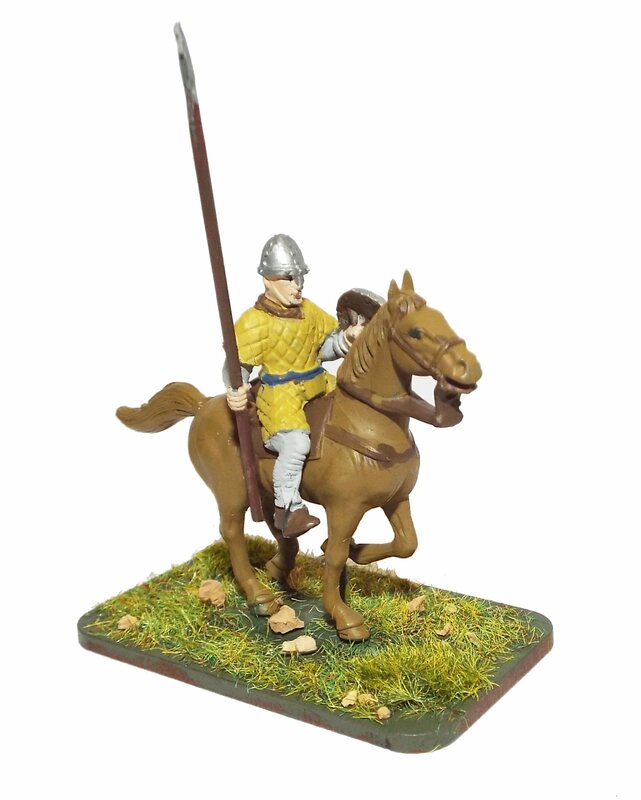 So Senlac is a descriptive term, and we are left with Ash Tree Pond/Lake, Iron Pond/Lake or Sandy Pond/Lake, so lets look at the landscape around Battle to see if we can find anything that might relate to the above translations, as its possible that there were a number of Senlacs in the area. To the north of Senlac Hill there is a very steep valley with a spring that flows down into the Brede valley, the nearest pond in that direction would have been towards Marley Lane a mile or so away. To the south east are a few small ponds, but just the clayey ponds that cover the area. Please be aware that a lot of ponds that are now in the area were caused by doodlebug explosions from World War 2 falling short of London or being turned over by typhoon fighters. To the south there is now the pond created at Powdermills, but originally this may have been created by the Romans digging iron at Pepperingeye a few hundred metres to the south east. To the west towards Ashburnham we have an area known for its ash trees, and near to Ashburnham(Meaning the Stream in the Ash trees) there are a number of lakes, probably formed again for iron working in Roman times, so there may be a second Senlac hill. Please see the map below. Finally to the North West of the abbey lies the hamlet of Beech(now Beech Farm) which was in the Domesday and was an iron working site. The above map shows possible other Senlac Hills based on the local geography, please take a look at the above details and make your own judgement on the location of Senlac. This would equate to a Fyrd(national service) of approximately 138 soldiers. population(excluding Priests and Slaves) being eligible for military duties.